In finance, an accrual is the accumulation or adding together of interest and different investments over a period of time. In accrual-based accounting, an accrual is an adjustment for earned income or incurred expenses that have an overall impact on an income statement. Revenues earned but not yet recorded in the accounts, for example income earned from billable hours worked in a month that have not yet been invoiced to the client. Expenses incurred but not yet recorded in the accounts, for example a pending obligation to pay for goods or services received even if an invoice from the supplier has not yet been received. In accrual-based accounting, an accrual affects the balance sheet, which represents liabilities and non-cash based assets. These account can include accounts payable, accounts receivable, goodwill, future tax liability, and future interest expenses. An accrual is any entry in the accounts that refers to revenue or expenses whether or not a cash transaction occurs. This defines the accounting method of accrual accounting (or accrual-based accounting), as it records revenue and expenses as they happen, instead of when invoiced or paid. It is a standard accounting practice, and is used by most businesses and organizations. 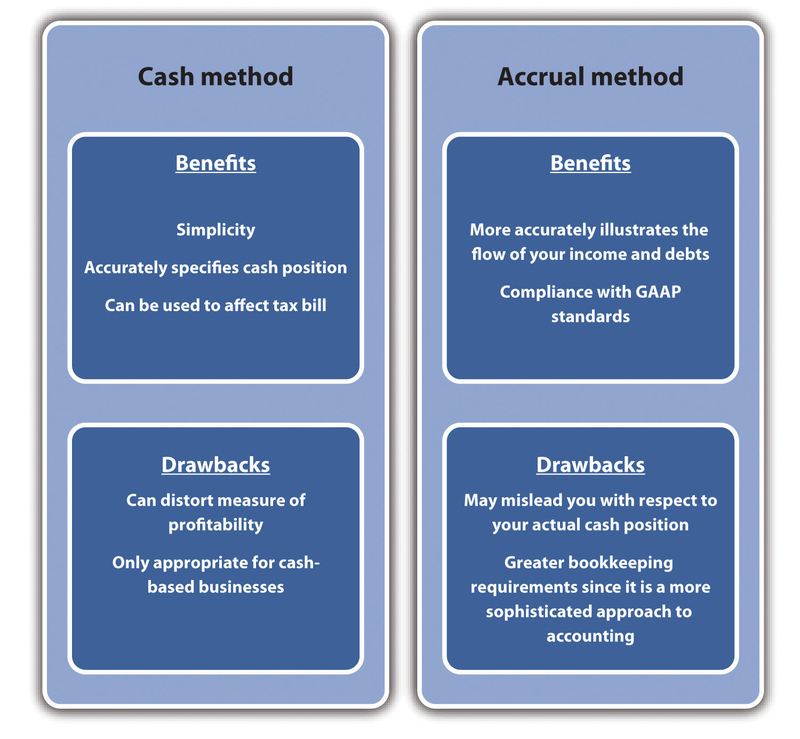 Accrual accounting is opposite to cash accounting (cash-based accounting), which records transactions only if there is an exchange or payment of cash. Accrual accounting allows for a more accurate picture of a business or organization’s accounts in their financial statements. It also allows for the increasing complexity of business transactions from multiple vendors, contracts, and suppliers. In payroll, an accrual may come in the form of both vacation or sick accrual. As time passes, an employee accumulates time off for vacation and/or sick leave. Either the employee uses the time accrued for leave, or the employer must pay out the time accrued when an employee leaves the organization. Accruals are a commonly used tool, and the preferred method of accounting for businesses and organizations as it allows better financial control. This is especially true for many large, public organizations who must follow GAAP (Generally Accepted Accounting Principles) and IFRS (International Finance Reporting Standards). Smaller companies also follow these principles and accrual based accounting as a best practice.